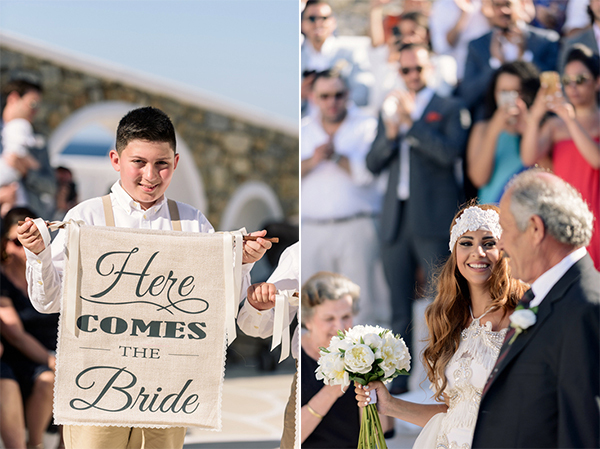 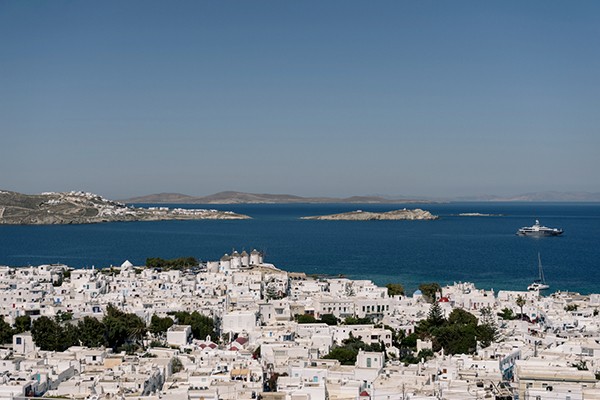 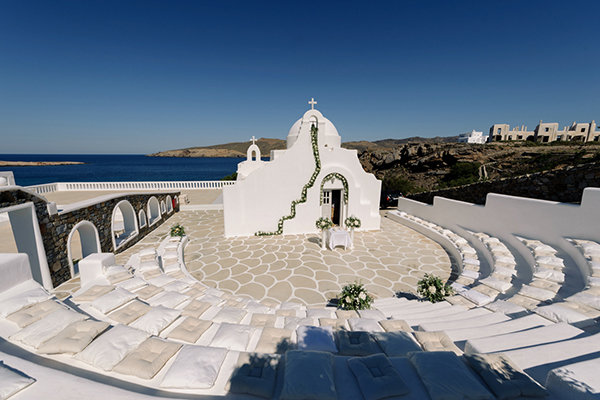 Today, we are travelling to beautiful Mykonos and we’re sharing an elegant, unique wedding! 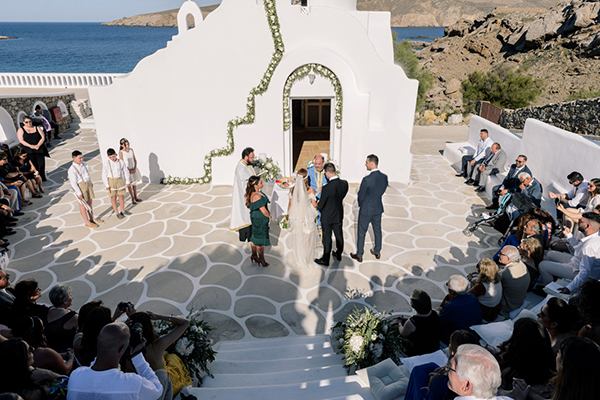 This wedding has a boho style with white and beige – gold details and many fresh white flowers mixed with olive leaves. 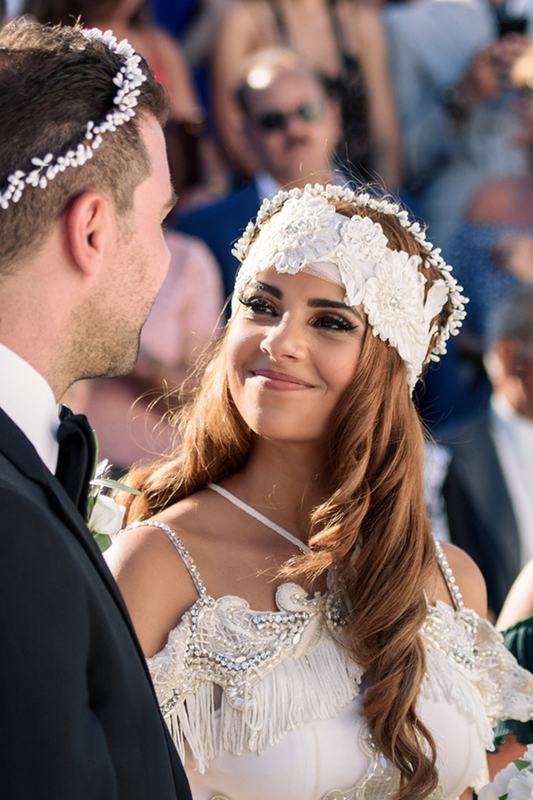 The whole wedding, from the decoration to the wedding dress of the gorgeous bride, are extremely uncommon and beautiful! 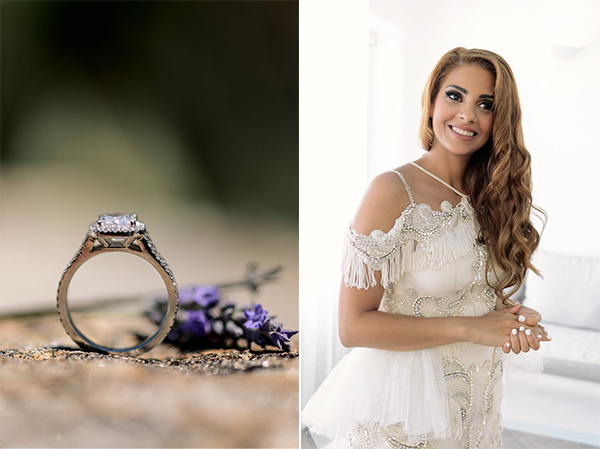 Enjoy the magical photos captured by Phosart Photography & Cinematography! 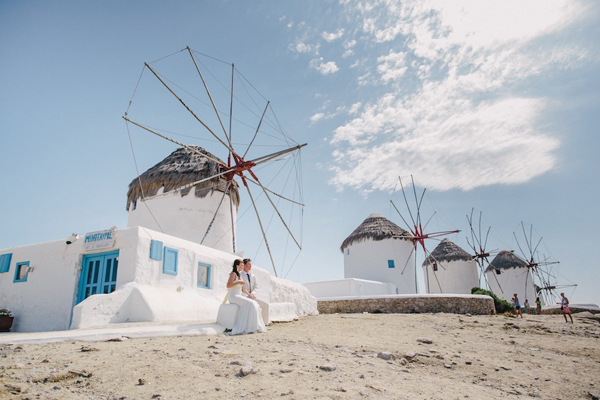 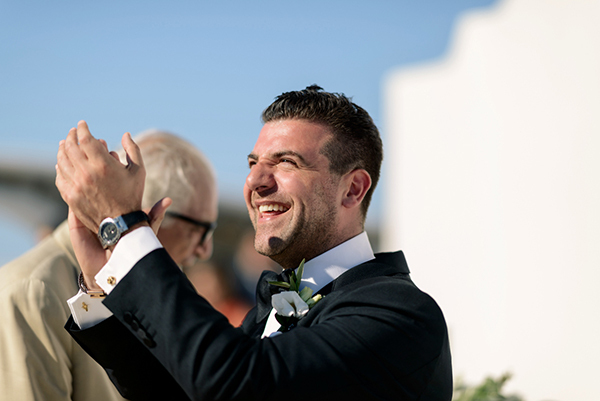 “We chose Mykonos for our destination wedding because we both love it, we spent many holidays there and thought it was ideal for a wedding”. 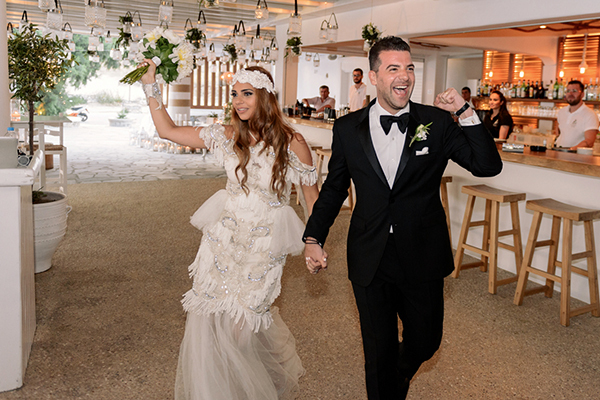 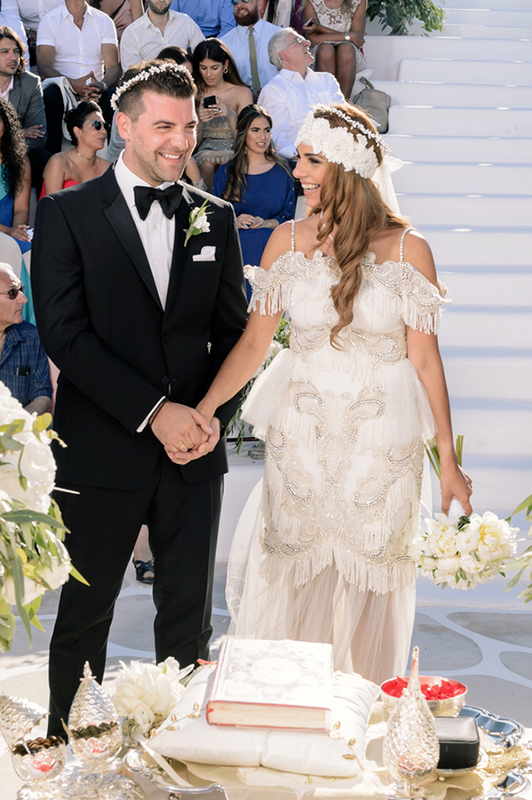 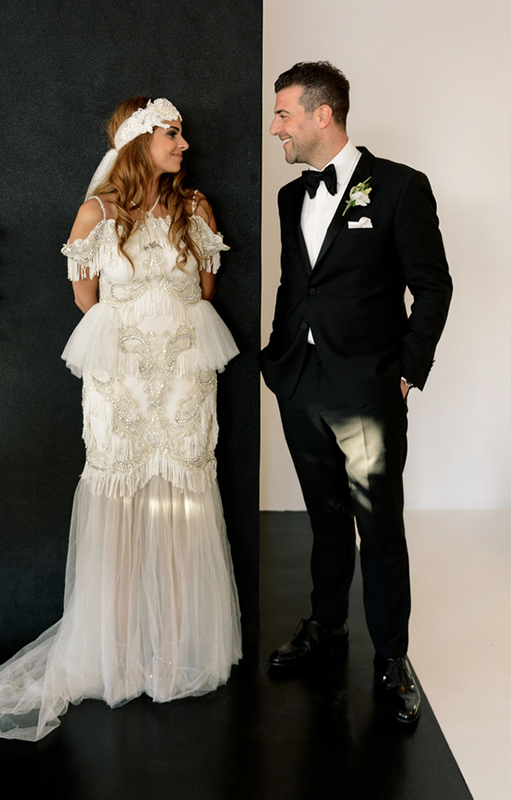 “My dress was from a designer in Australia but wasn’t a bridal dress but I loved the look of so much, so that I had my seamstress add to it to make it look like a wedding gown”. 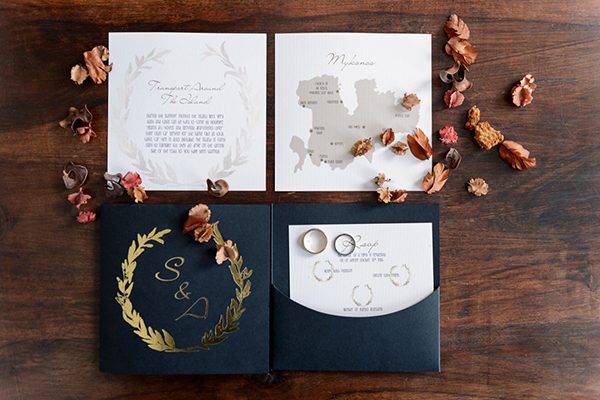 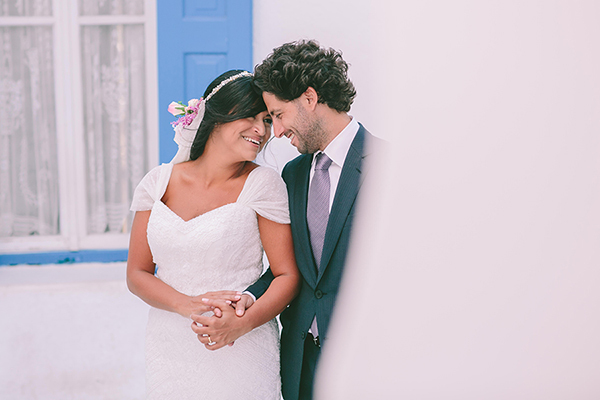 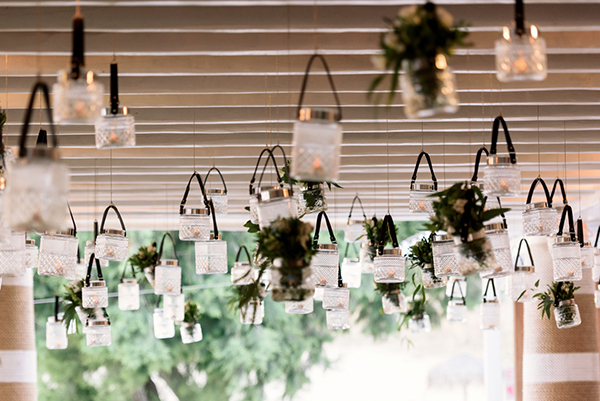 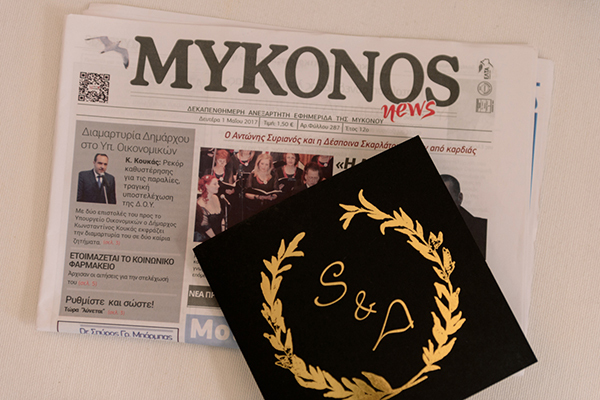 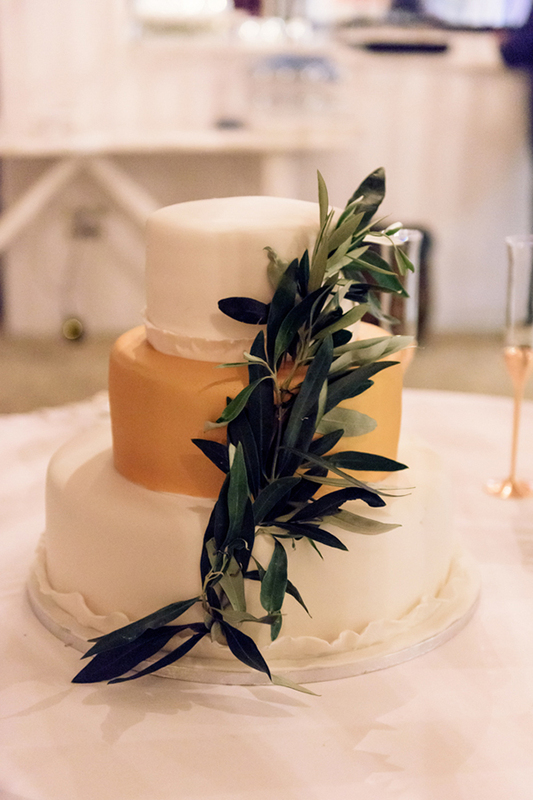 “Our wedding ran so smoothly & it was due to our planner Margarita Samanoglou”. 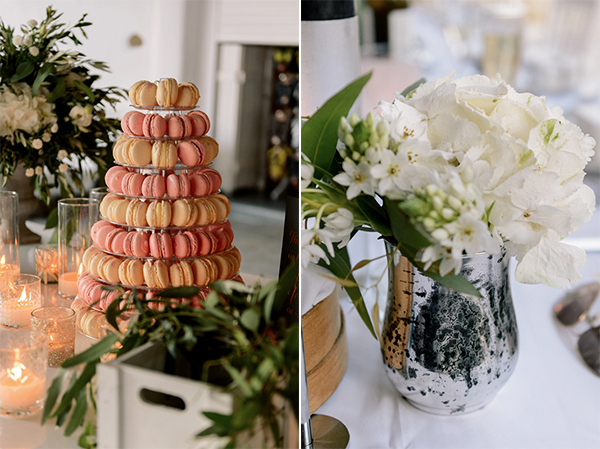 “The venue was already so wonderfully decked out we didn’t need much, so we went for white Hydrangeas, Peonies & Roses with Olive leaves to keep it romantic but classy”. 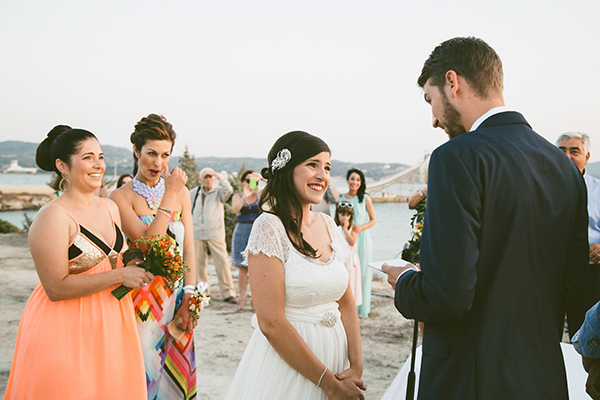 “The best moment of our wedding was the fireworks, which we kept a surprise for our guests”. 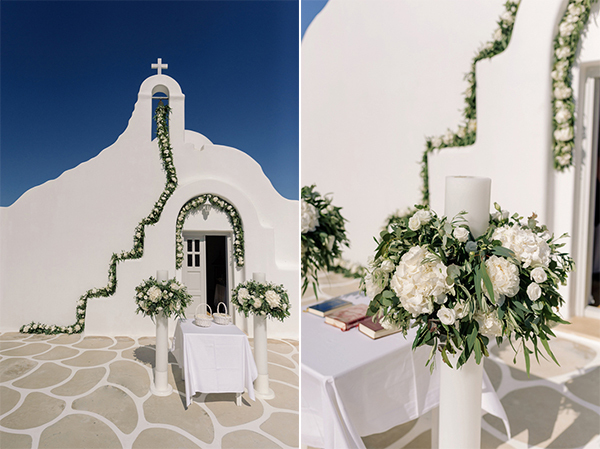 “We found inspiration and ideas for our wedding mainly from Pinterest and few ideas from our Florist”. 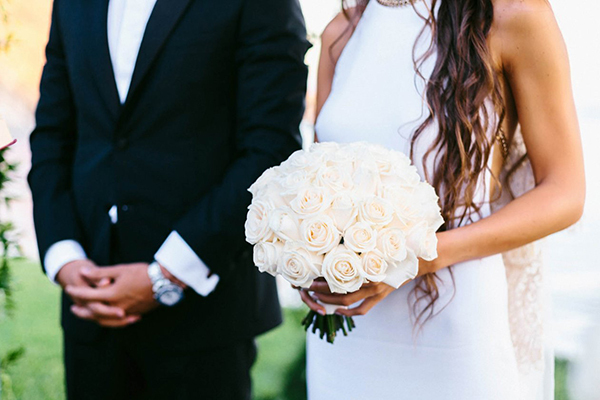 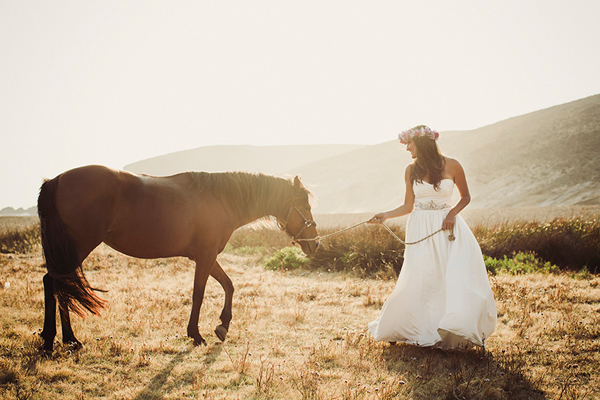 “The style of our wedding was boho/romantic with neutral colors and white flowers. 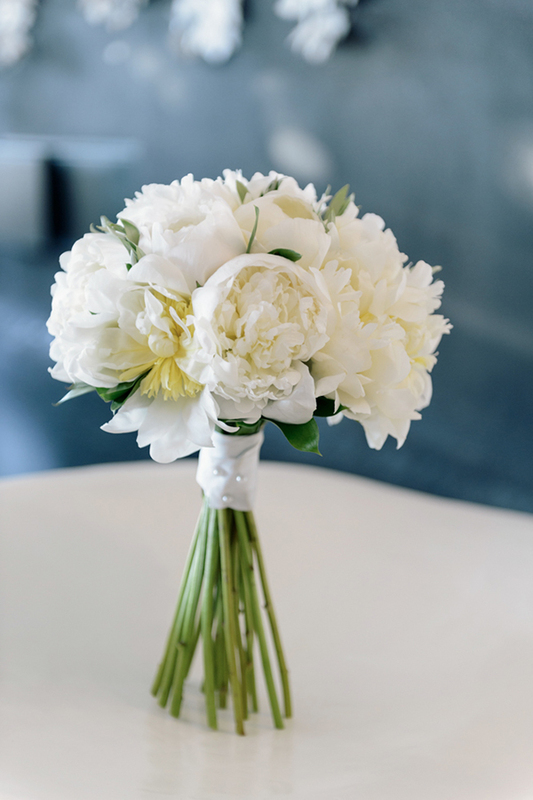 For my bouquet, I picked cream Peonies with olive leaves”. 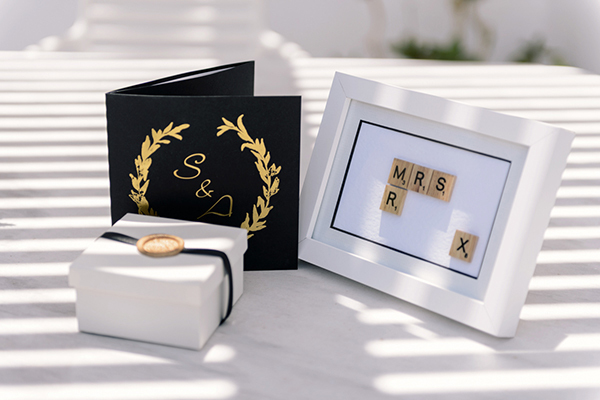 “For a bride who is planning her wedding now, I would advise her to stay calm and hire a good wedding planner, planners are a huge help”.